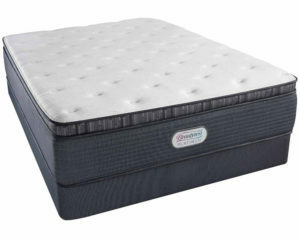 The Simmons Platinum Belmont Avenue Plush Collection is among the top Beautyrest Platinum mattresses. This collection offers mattress sets in Queen and King for an incredible value. Do I prefer a soft or firm mattress structure? Is gel or memory foam an important feature? Do I want a mattress with a good manufacturer warranty? Don’t panic. There’s no denying there are a lot of options to consider for mattresses, but we’re going to walk you through all the perks of the Simmons Platinum Belmont Avenue Plush Collection to see if it’s a good fit for you. Infinicool Surface Fiber is designed to distribute your body heat away from you. If you sleep on the warmer side, this pillow top feature will help you stay cool and dry throughout the night. Airfeel Energy Foam absorbs shock and isolates motion throughout the mattress. If you toss and turn throughout the night, you won’t disturb your partner. 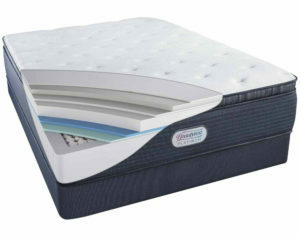 Beautyrest Gel Memory Foam uses gel-infused memory foam technology to provide exceptional support from head to toe. We love this layer because the gel makes the memory foam firm and dense that will hug every curve of your body. Geltouch Memory Foam is a soft gel foam that’s perfect for contouring to your body’s specific shape. This layer provides soothing comfort from corner to corner. 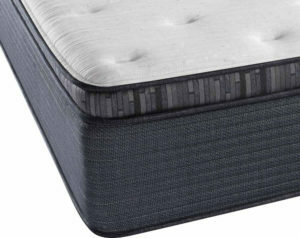 Beautyrest pocketed coils line the core of the Belmont Avenue mattress. Each coil is individually wrapped for uniform motion separation that doesn’t compromise support. Basically, that means you can move around one half of the mattress without bothering your partner while they sleep. Did you know there are different kinds of foam in mattresses? Some varieties are firm, soft, gel, memory foam, or a combination of a few. It’s important to know what’s inside your mattress so that you know how to make the best purchase for your needs. 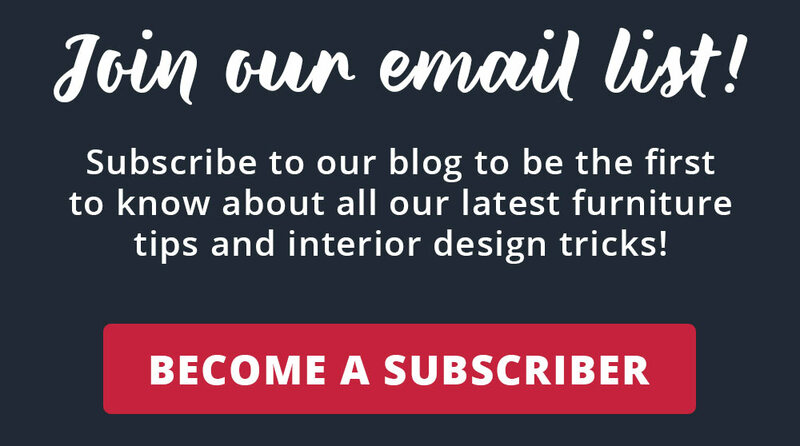 When you visit American Freight Furniture and Mattress, you can expect to learn all about the mattresses you’re interested in. Click here to see our selection of mattresses. The Belmont Avenue is made in America and comes with a 10-year limited manufacturer warranty. The four unique foam layers are specifically crafted to provide ample comfort and support. If you’re looking for a mattress that has a blend of coils and memory foam, this mattress could be perfect for you. But don’t take our word for it! Stop by your local American Freight Furniture and Mattress to try it before you buy it. We have mattresses in every store that you can test out and compare to other models. Plus, our knowledgeable staff will help you decide which mattress is best for your comfort preferences and budget. We offer a variety of different brands and styles to meet your needs. Stop by today to learn more about our financing options, same-day delivery for in-stock items! We have affordable mattresses for everyone.